Welcome to ‘the House house’! My husband, our 2 young boys and I moved to Naples, FL from Massachusetts over 5 years ago. We spent our first year renting and then bought a house. 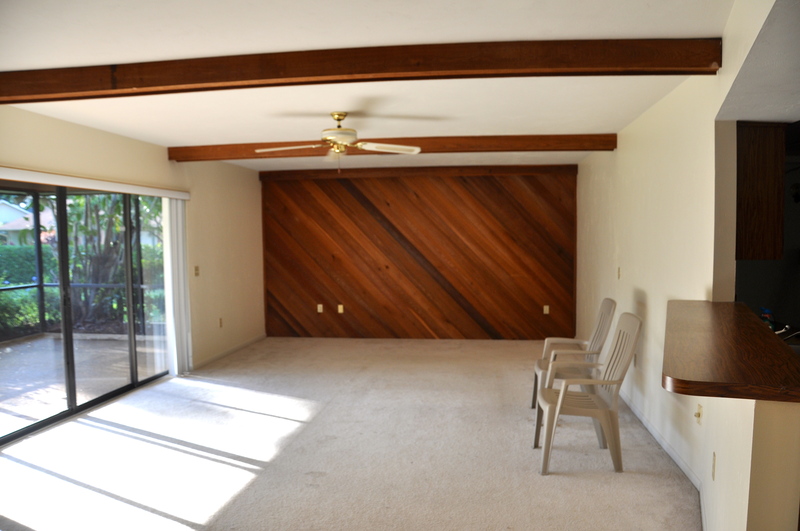 Although we like our current home, we discovered a rather homely, 1980’s Spanish style home for sale in a more desirable and kid friendly neighborhood. The ‘hood is the best in North Naples, locally known as the ‘Place To Be’ for kids’ events, block parties and swarms of holiday visitors for Halloween, and especially Christmas. Nearly every house gets decorated to the nines at Christmas, and each house is better than the next. People from all over Naples drive through to see the festive lights. Because of the Location, Location, Location, we had to out-bid a few other families for the opportunity to purchase the property. The house needs a ton of work, and I mean a TON. 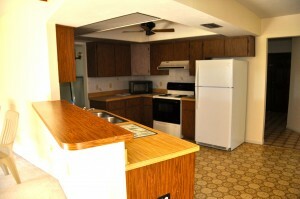 Nothing has been touched or updated since it was built in the 80’s, including linoleum floors, fake wood countertops, bad carpeting, outdated bathrooms, you name it! We plan to gut the entire house and take down a few walls to make it more of an open concept, re-do the kitchen and bathrooms, expand the house in the rear, add a second story with 3 bedrooms and 2 bathrooms (almost doubling the square footage), and add a pool. Whew! THAT’S. A. LOT. OF. STUFF. It will be a big job but we can’t wait to get started. 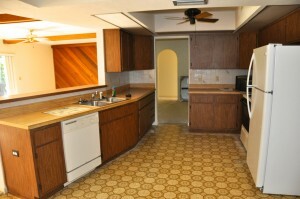 Old kitchen complete with bad linoleum, fake wood countertops and ugly cabinets. 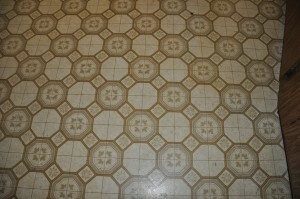 Closer look at the ‘retro’ linoleum floors. My husband joked we should keep them. Um, no thanks! 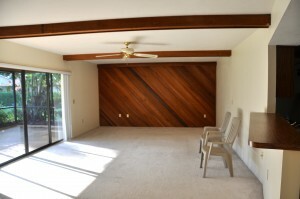 View of living room with the ’80’s’ wood beams and funky wood wall. 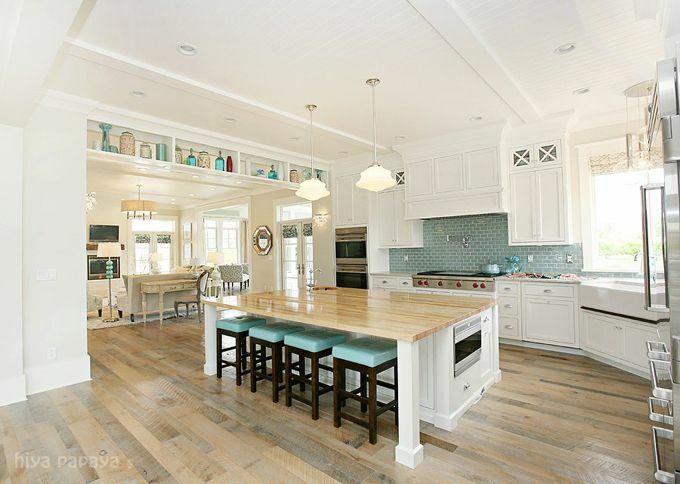 Low ceilings, outdated cabinets, and fake wood countertops, oh my! The house has an enormous back yard and is part of the reason we bought the property. 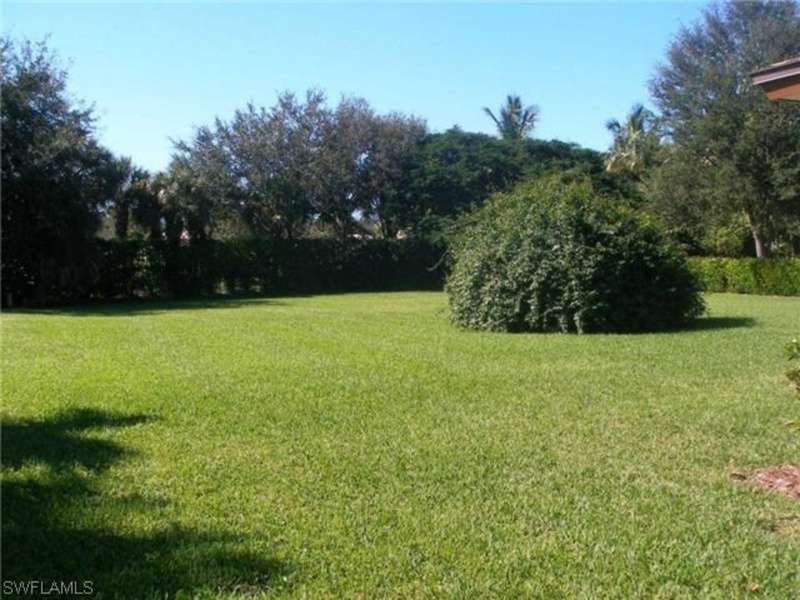 Large yards in this area are hard to come by so when we saw this yard we fell in love. 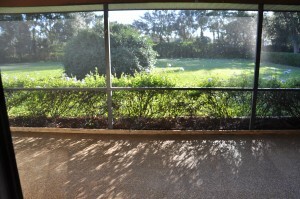 View of backyard from current lanai. We’ve already cut down that enormous overgrown shrub that was dead center in the yard. Back yard with huge weird shrub in the middle of it. Our contractor has submitted architectual drawings for permitting and we are eagerly awaiting the go ahead so we can get started. I hope you will follow us in our first journey into remodeling and maybe even offer us some advice and tips on how to get the job done right. Meanwhile, here are some photos of the ‘beachy/coastal’ look I will be going for (all found on Pinterest or Houzz – oh how I love those sites). 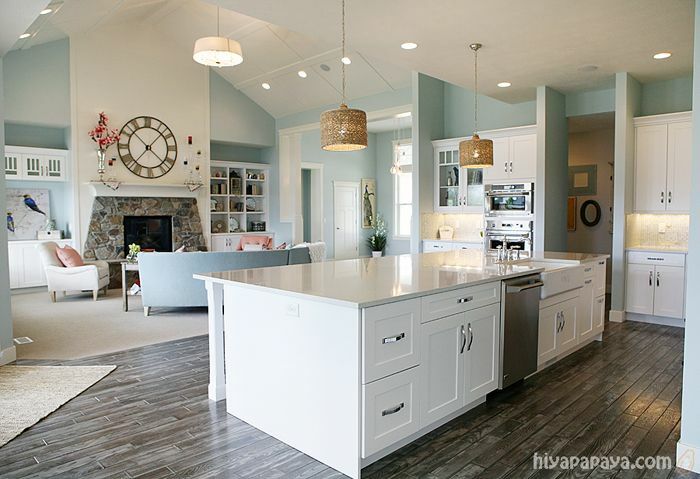 If you could remodel a home what decor would you go with? Do you have any advice for us as we get started? Any good stories to share? Love the white cabinets, and open concept. 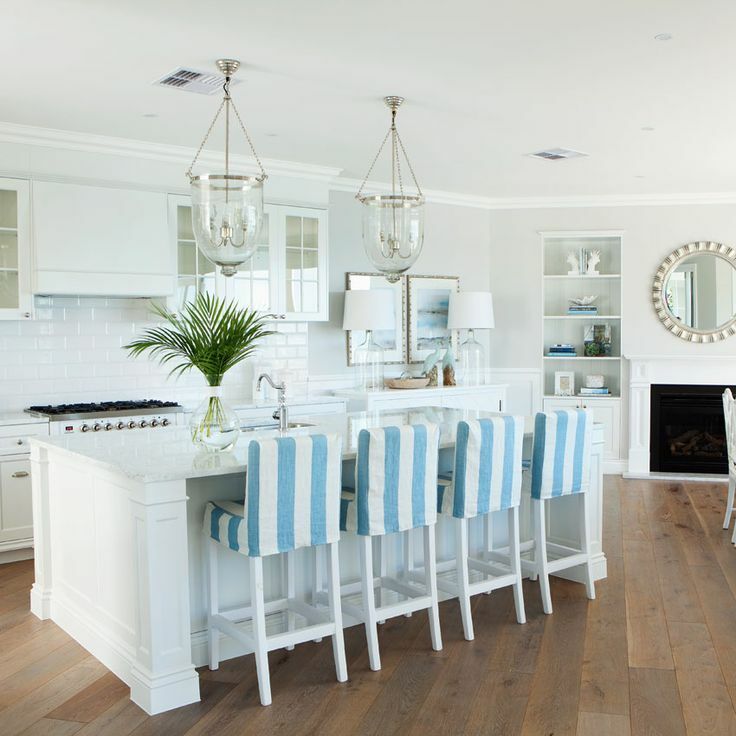 Beautiful, clean with hints of blues. Love it! I want a huge island. Maybe not exactly like this, but huge nonetheless! LOVE it! Look forward to seeing the progression and the final product!! Love the look you are going for and cannot believe your backyard! Awesome! Love it! So fun and stressful at the same time. Can’t wait to see the transformation. Love it!!! It’s going to be quite an adventure but we are pumped to have you guys as neighbors! 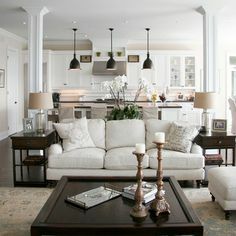 Love the pictures of your decorating ideas! Wow! your designs and plans! How exciting! Good luck…hope it goes smoothly! Love it. House house, Great name! Wow! Such an exciting time for you! 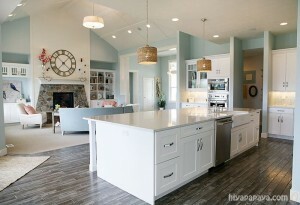 Great idea documenting remodel! Good luck! Can’t wait to see how it all turns out. I’m sure it will be great. This looks like a great candidate for an upgrade. Basic bones look good. I hope you will include in your blog what goes on with permitting, and inspections. Great that you’re doing the house … and the blog!! Thank you all for your comments! We can’t wait to get started. Getting permits has proved to be VERY slow but it won’t be much longer now….hopefully! Luv Luv Luv your Idea’s with the look and color choice. Perfect for the location as well. Good Job! !